National Insurance Company Ltd was established in the year 1906 in Calcutta (now Kolkata) making it India’s oldest general insurance company. After 66 years, the company collaborated 11 Indian and 21 foreign companies. National Insurance Company Ltd is one of the four subsidiaries of the state-owned General Insurance Company. Being the oldest general insurance company it has several pilot products like the introduction of product customizations both for corporate and rural sectors to its credit. It is also the first Indian insurance company to enter into an alliance with automobile giants like Maruti and Hero Honda Corp. It also pioneered Bancassurance in India by collaborating with some of the largest banks. It boasts a strong workforce of 14902 employees and 1998 offices covering a wide network of operations in India and also in Nepal. 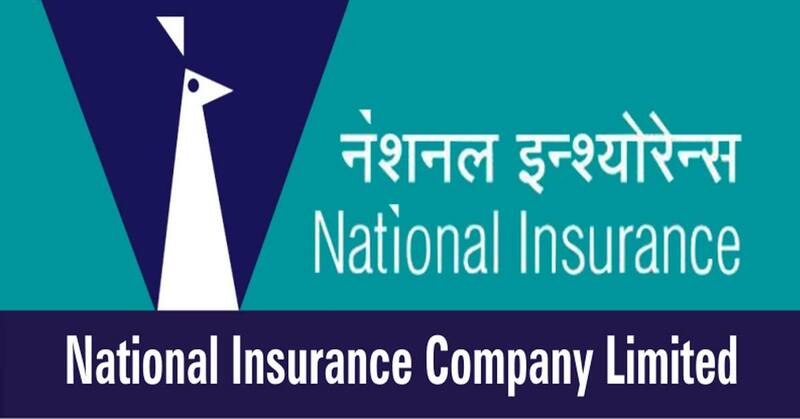 National Insurance Company enjoys strong financial strength and issuer credit rating reflecting good performance and stronghold in India’s insurance market. The National Insurance Company provides general insurance solutions in almost every aspect. The general insurance plans are categorised into different categories such as motor, health, property, rural etc. which offer protection against loss and damage due to factors listed in the specific policy. This coverage is against any liability that arises out of the third party following an accident involving your vehicle. The policy covers injury or death of the third party with no limits and damage to property for up to the sum of INR 7.5 lakhs. Package cover safeguards you against liabilities of the third party along with damages to your own vehicle. The own damage cover includes loss or damage caused to the vehicle by natural calamities like fire, lightning, flood, earthquake, storm, landslide etc. or man-made calamities like riots, strikes, theft, malicious act, terrorism etc. You can get additional cover against Loss of accessories, Legal liability to the paid driver, Personal Accident to the occupants for an additional premium. The policy also has provision for No Claim Bonus which will get you premium discounts on the renewal of Two Wheeler policy. The Indian Motor Vehicles Act, 1988 makes it mandatory to have valid motor insurance policies at all times for two wheelers and four-wheeler vehicles in India. The four-wheeler insurance policy issued by National Insurance covers four-wheelers used for social, domestic and for professional purpose (excluding carriage of goods other than the registered owner. You can get additional cover against Loss of accessories, Legal liability to the paid driver, Personal Accident to the occupants for an additional premium. The policy also has provision for No Claim Bonus which will get you premium discounts on the renewal of your car policy. You can get a further discount for opting higher voluntary excess and for approved anti-theft devices installed in the vehicle. National Insurance also offers a concession for especially designed/modified vehicle for blind, handicapped and mentally challenged persons. Parivar mediclaim policy is a floater policy with numerous benefits for the whole family including self, spouse, children and parents under one sum insured. The plan offers good coverage to you and your family in case of medical emergency. Treatment under Allopathy, Ayurveda, and Homeopathy are covered up to the full sum insured. Pre 30 days and post 60 days hospitalisation covered. The policy can be purchased online for a discount of 5% and tax benefits can be availed for the premium paid under section under section 80D of Income Tax Act. The National Parivar Mediclaim Plus Policy is a floater policy which offers coverage to the family including self, spouse, children and parents/parents-in-laws under a single sum insured. The product offers a huge coverage of up to INR 50 lakhs with great features with three plans offering different coverage sum insured amount. The policy offers lifelong renewal benefit. A discount of 5% can be availed if the policy is purchased online and tax benefits can be availed for the premium paid under section 80D of Income Tax Act. For more details on the offerings of National Insurance Company Ltd please visit its website. The products offered by the company are simple to understand and offer good coverage at an affordable premium.